We carry a selection of deck clips, plugging systems and color coated screws designed for deck and dock construction. Browse our products for wood, pvc and composite decking materials. We carry a wide variety of hidden deck fasteners and deck clips. All of our deck clip systems are stainless steel and come with stainless steel screws. Whether you use use Composite, PVC or Hardwood decking, there is a clip that will pair perfectly with your deck board for a fastener-free surface. 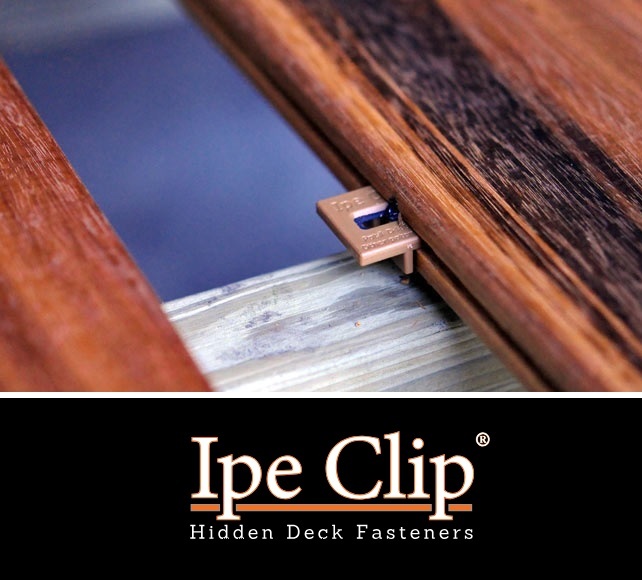 Browse our high-quality collection of hidden deck fasteners and find Ipe Clip® Kits, Tiger Claw Clips®, and Eb-Ty® Premium Fastening Systems. The Pro Plug System for PVC and composite decking is the perfect complement to your Azek decking, Trex decking, and trim. It combines screw down strength with the beauty of a hidden fastener system. Installation is quick and easy! There are only 2 steps: Just set the screw with the PRO PLUG PVC Tool and tap in the plug with a hammer. Each plug is installed in just a few seconds. We currently stock PVC plugging systems and kits for Azek decking and Trex decking, in variety of colors. Additional deck brands, colors, and package sizes available upon request. Call us at 800-542-1979 for more information. This easy-to-install plug system for wood decking cuts installation time in half! Kits include plugs and stainless steel screws. You may also purchase plugs, screws and accessories individually. We carry systems for for a variety of wood decking, including Ipe, Cambara, Cumaru, Garapa, Jatoba, Massaranduba, Meranti, Merbau, Red Balau & Tigerwood. Kits for wood flooring available upon request. Also great for woodworking projects. The Pro Plug System for PVC and composite trim combines screw down strength with the beauty of a fastener free surface. Install in 2 easy steps! Set the screw with the PRO PLUG PVC Tool and tap in the PVC plug with a hammer. The Pro Plug System for PVC trim is available for the following: Azek, Boral TruExterior, Kleer, Restoration Millwork, Royal and Versatex. Three package varieties available: Pro Plugs and PVC tool kit, Trim plug with epoxy screw kit, and Plugs with stainless screw kits. 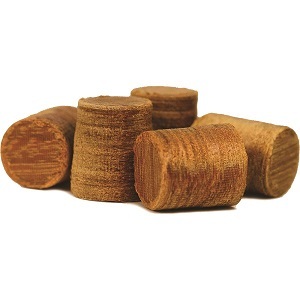 Ipe deck plugs are great for decks, docks, fences and woodworking, available in 3/8" and 5/16" diameters. 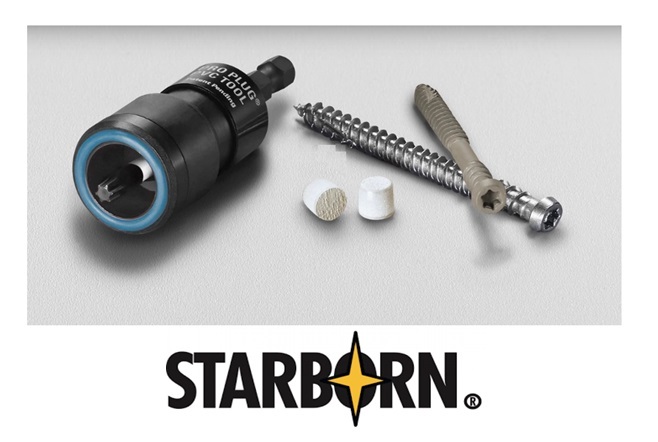 The 5/16" diameter is compatible with Starborn's Pro Plug System. Chamfered end for easy install. Headcote Screws are stainless steel with a color match head. Engineered for hardwood, Redwood, Cedar and Pressure Treated decks. Available in 305 stainless steel and saltwater-safe 316 stainless steel. 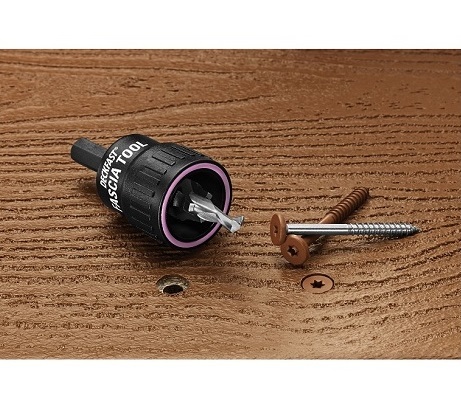 Cap-Tor xd is a color match screw that has been designed for PVC and Composite deck boards. Check out the Deck Matcher Tool to find which screw color you need to match your deck. Fascia screws designed to adapt to the expansion and contraction that naturally occur in composite and PVC deck fascia. The Fascia Tool is used in installation to create an oversized hole that allows for expansion and contraction without excess force on the screws. 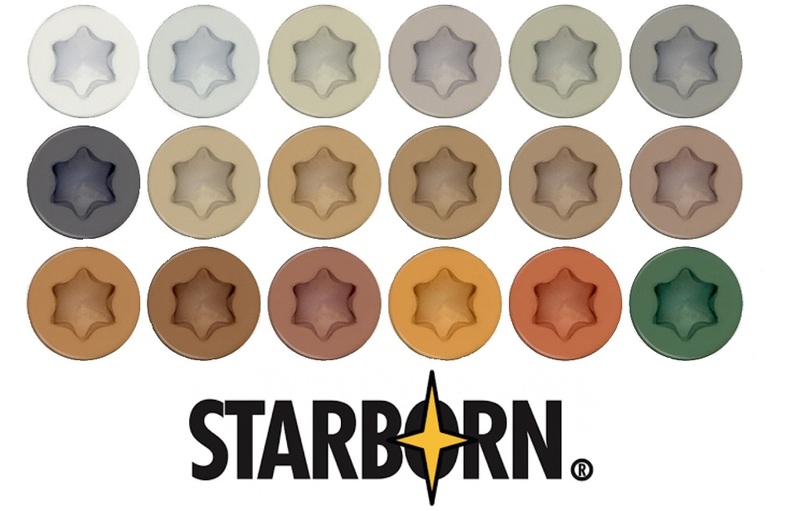 Fascia screws are color coated to match your deck boards perfectly. To find the perfect color, use the Deck Matcher Tool. Select your deck board and it will tell you the corresponding screw color. Fascia Plugging System Now Available for Trex! Deckfast Metal screws are designed to attach deck boards to steel and aluminum framing including Trex Elevations. Suitable for hardwood, PVC and Composite deck boards. Screws made from Type 410 Stainless Steel and color coated with an epoxy-based polymer resin over a zinc plate. To find the best color match for your deck, use the Deck Matcher Tool. Made from polypropylene with a stainless steel black oxide insert. The clip allows for expansion and movement in all decking types. 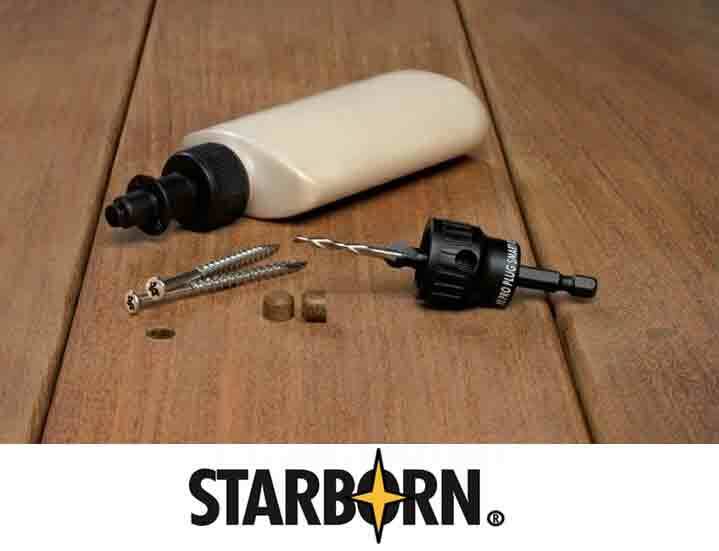 Kits include the clips, stainless steel screws, deck spacers, Ipe plugs, drill and driver bits. Everything you need for installation! Limited Lifetime Warranty by Deckwise.